As part of our service we offer a profit share service too. If you decide that purchasing a machine outright or rental is not the way forward for you we can offer a profit share where we site and maintain the machines and you receive a share of the revenue generated. For more information please don’t hesitate to give us a call or complete our online contact form. Amazon Leisure has been serving all kinds of arcade machines for many years and have a vast experience. 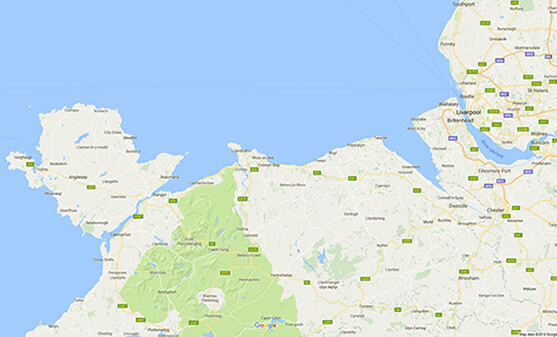 We are located centrally in North Wales which means we are only a short distance away at any time. This means we can offer one of the fastest machine services in the area. We pride ourselves in quick response so if in the unlikely event any fault occurs we can get the machine back working promptly usually within hours rather than days like some of our competitors. We operate over 100 sites throughout the North Wales, Wrexham and Chester area offering quality arcade machines and vending machines. Amazon Leisure have established themselves as the leading arcade machine operator in the North Wales, Wrexham and Chester area. We only operate in our local area so you can be assured of a first class local service with service engineers close by keeping all our sites operating efficiently. We provide a wide range of prize crane ‘grabber’ machines, vending machines and pushers. We have been siting arcade machine of all sorts for many years and have a vast range of experience and expertise. If you have any questions regarding what machines would best suit your venue please don’t hesitate to complete our online web contact for or give us a call. We are always happy to help answer any questions you have and can help from machines choice to best location and what machines are most popular and generate the best revenue. Our Arcade machine profit share, sales & hire services we offer throughout our local area of the North Wales coast and Chester, The Wirral areas. Our machines are sited all around our locality including the towns of Bangor, Holyhead, Caernarfon, Prestatyn, Rhyl, Llandudno and Wrexham. How much is it to hire a Novelty Vending Machine? What is the minimum term hire for a Novelty Vending Machine? Do I need a license to Site a Novelty Vending Machine? If there is a fault with my Novelty Vending Machine, what do I do? Do Amazon Leisure also sell Novelty Vending Machines?